He was skinny, balding and had been hunched over at the side of the road for months. His skin looked almost scaly, and his tail was pointy and shriveled. 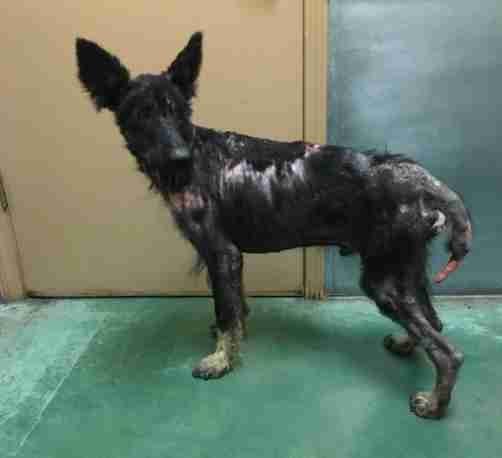 What was left of his black fur stood straight up on his neck and back in disheveled tangles. 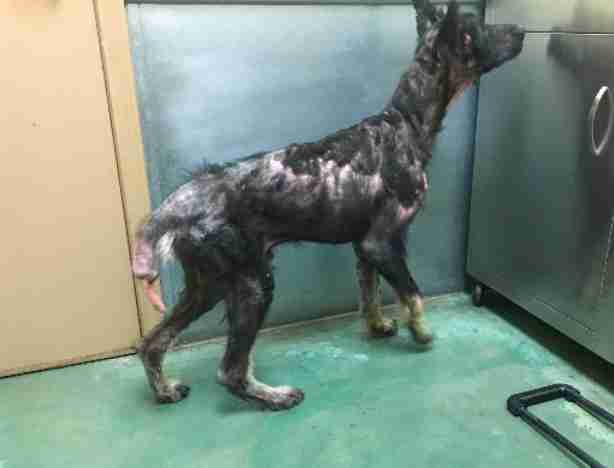 He hadn’t eaten in what must have been weeks, and he was barely able to walk. No one knew anything else about the strange creature except that he had been limping around a Madera Ranchos, California, orchard for a long time. He started becoming known as the werewolf, because people simply didn’t know what kind of animal he was — and they were too afraid of getting close to find out. By the end of March, a woman driving nearby spotted him and made a post asking for help on Facebook, then decided to wait nearby until someone arrived. It wasn’t long before local dog rescuer, Megan Bowe, was on the scene. 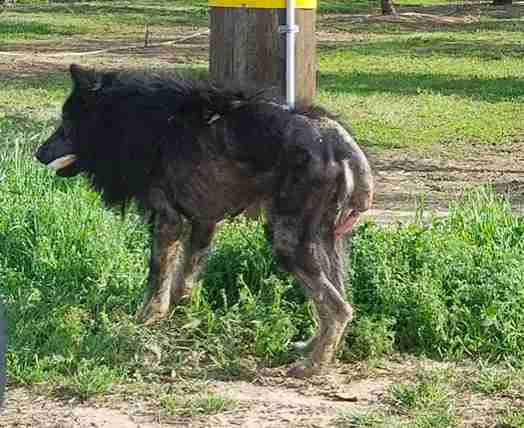 Up close, Bowe knew right away what the “werewolf” really was: a very sick German shepherd. She named him King and rushed him into her car to bring him to an emergency vet. He was so glad to finally have help that he went willingly along with her. 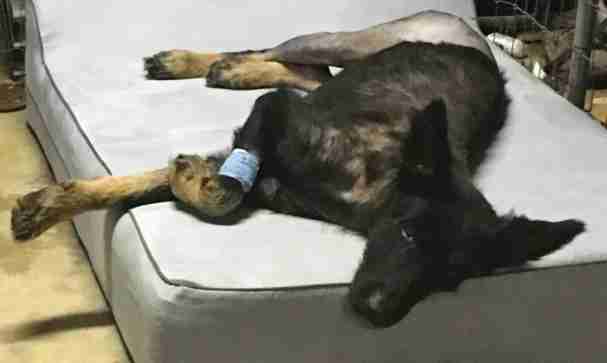 The vet discovered a laundry list of different ailments and injuries — most notably, King was suffering from scabies, a broken pelvis and a severely broken tail. Even though he looked very old, King was only about 1 year old. Since his mange was contagious, Bowe had to set up a quarantine area in her garage so King could heal without potentially passing it on to other animals in her care. 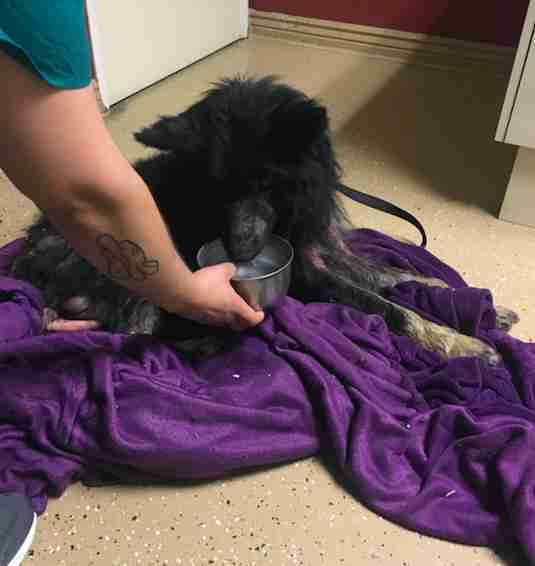 She also started him on small feedings to build his weight and strength back up to get him ready to have surgery on his hip and tail. Although he was weak and in pain, it was clear he was so grateful. 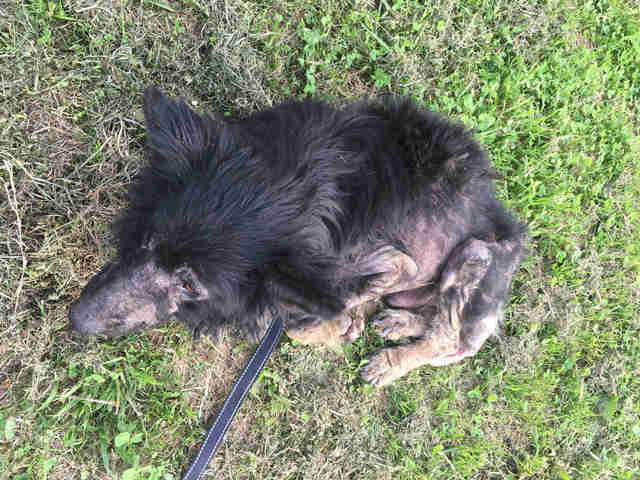 After about a month and a half of around-the-clock care, feedings and medicine, King’s scabies began to improve and he was regaining strength. 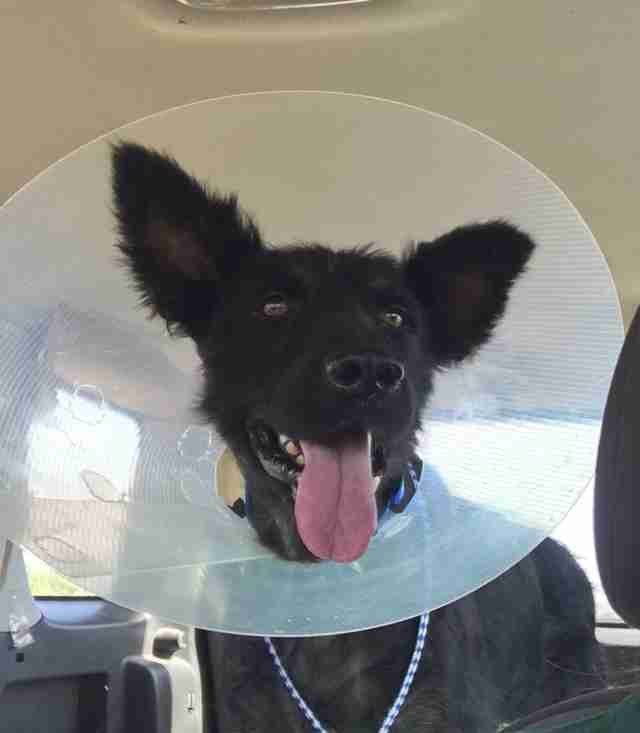 A few weeks ago, he was finally well enough to get surgery on one hip and his tail. 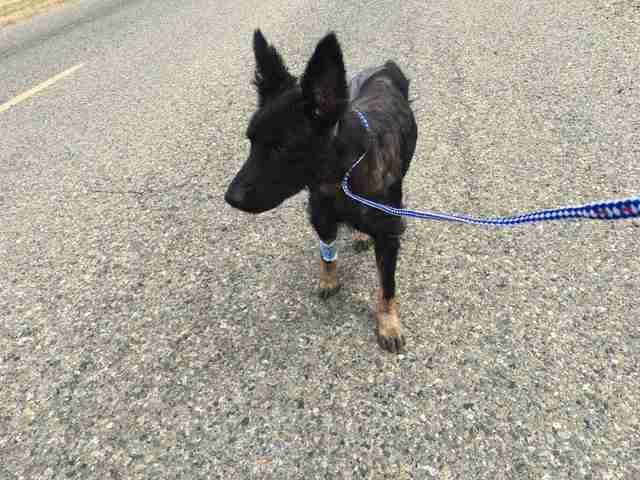 While King isn’t out of the woods just yet, he is already doing so much better — and already looks entirely different from the “scary” creature people thought he was. 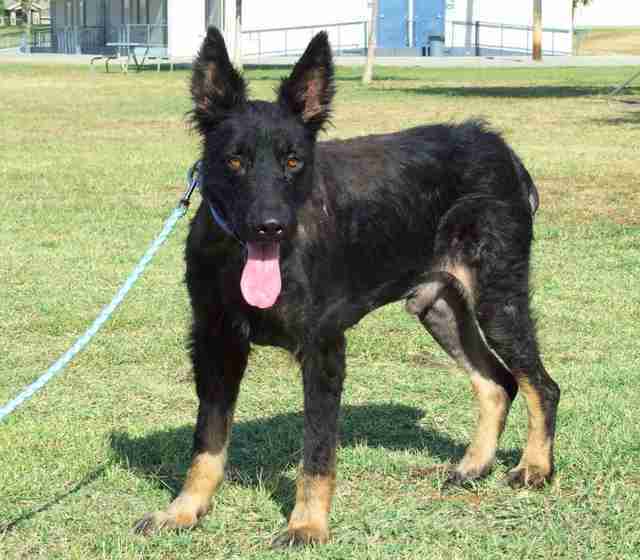 Once he’s fully recovered, which Bowe expects will be in a few months, King will be available for adoption. Until then, he’s learning all about the new joys of life, like eating treats, taking walks and going for car rides with the windows open. 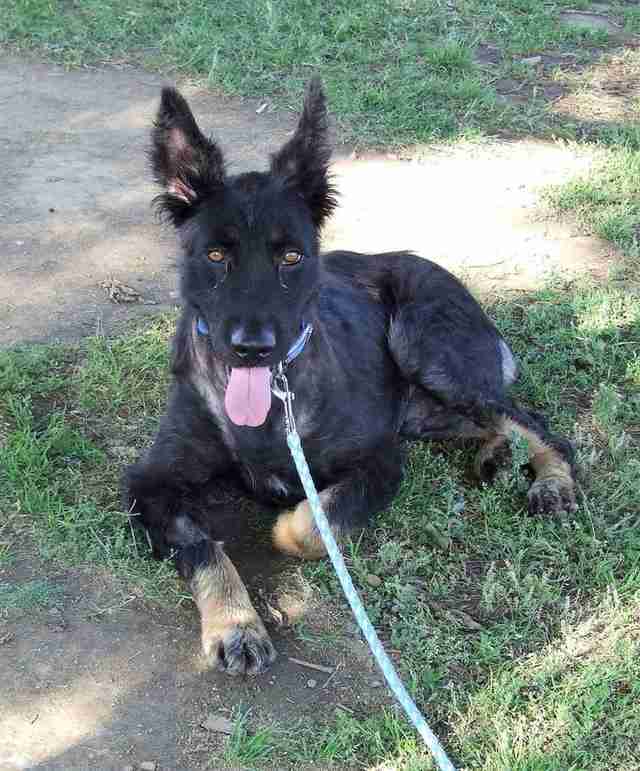 To help King heal, you can make a donation to cover his medical bills.